Brand Management is a classic example of markets have changed into consumer-driven markets. Today, brand managers face a lot of market fragmentation, market realities, and competition. The Brand Managers are under pressure to leverage upon the brand assets because of higher costs of creating new brands, although this is dependent upon your brand strategy which we will see later in the blog. Originally, branding has started with names, and symbols. It then moved on to providing unique experiences to consumers in every way they can. Today, branding is no more about a logo or a name, it is about the complete unique experience in many ways. So it gave rise to a completely new subject called Brand Management and all the complexities of handling the dynamics of branding. Brand Managers adopt different marketing and branding strategies and unknowingly started creating a lot of line extensions, flanker brands, brand extensions, endorsed brands and subbrands. 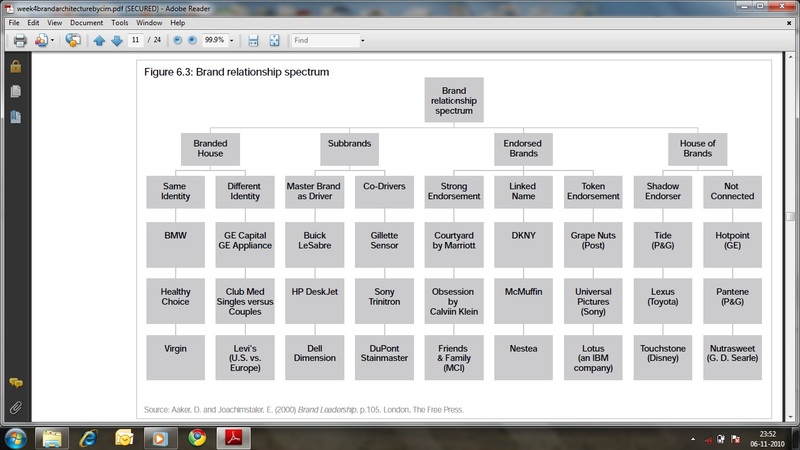 This led to a new area of Brand Management called Brand Architecture, which studies the relationships and structures among all these flamboyant extensions. For example, companies like P&G and Unilever operate in so many categories and they have many brands under each category where the whole spectrum becomes very difficult to comprehend and manage. Brand Architecture gives you a clarity of the relationships, structures, and positioning so that we can leverage upon any new opportunities, and missed opportunities. It is all about what level of associations should we have. For example, if Toyota decides to endorse the brand Lexus, what should it say: Toyota Lexus, or Lexus by Toyota. Could you see the difference in the level of association in both the cases with the corporate brand. Toyota Lexus has a higher level of support from Toyota than saying Lexus by Toyota. Now, consider that your company has acquired another brand. Now, every brand has a a different identity and position in the market. Though, you must have considered all that in your strategic acquisition, it is all a different ball game of how you will integrate that brand in your company, and what level of association will you choose. It all depends on your corporate, marketing, and branding strategies.